Plant in August and September for blooms in October and November and remove the 4-6 weeks bit! 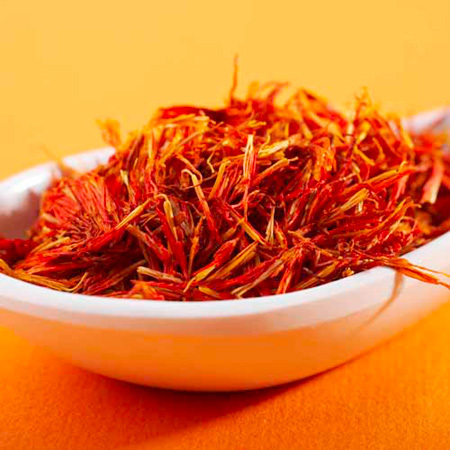 This beautiful autumn-blooming Saffron Crocus (Crocus sativus) is, as its name suggests, the flower from which we gather saffron, the quintessential seasoning for paella and other Mediterranean dishes and perfect for adding to basmati rice for an authentic Indian curry! The lilac-purple flowers produce vibrant red stigmas, which have been used for flavouring and colouring dishes since Roman times. Our growing instructions explain how easy it is to harvest the saffron, but it's not vital you do so - you may just wish to enjoy the lovely autumn flowers and their heady scent! They will thrive in a well drained border, or in a container on the patio. Plus they’re super-hardy (tolerant of summer heat and winter cold) and multiply rapidly from year to year. Bulb size: 8/9cm. 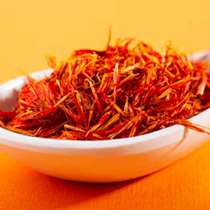 Grow your own saffron - the most expensive spice in the world! - The Saffron Crocus (Crocus sativus) is, as the name suggests, the plant from which we collect saffron, that most rare and expensive of spices. Saffron is an incredible way to perfume your dishes. 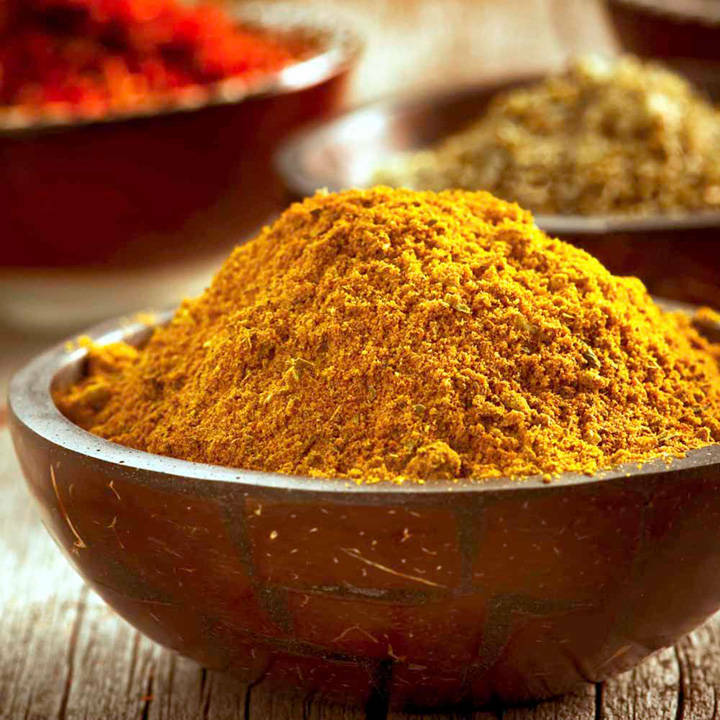 It has a slightly sweet but earthy taste which can be used to flavour salty or sweet recipes, and is perfect for adding to basmati rice for that authentic Indian curry! Beautifully scented autumn blooms - You may be surprised to learn that it's actually very easy to grow - you certainly don't need to have green fingers! Just plant the bulbs in a sunny spot in your garden and unlike their more well-known spring-blooming cousins, once established they put on a display of beautiful and deliciously scented blooms during autumn! They will thrive in a well drained border, but can easily be grown in a container on the patio. Plus, they're super-hardy and they'll multiply rapidly from year to year. Harvest your own "red gold" - Give them a try and you too can look forward to the magical experience of picking your very own "red gold". Look out for them each morning, dangling from the throats of the flowers: bright, alluring and full of promise. Once cut and dried, they can be stored in an airtight jar for several years! 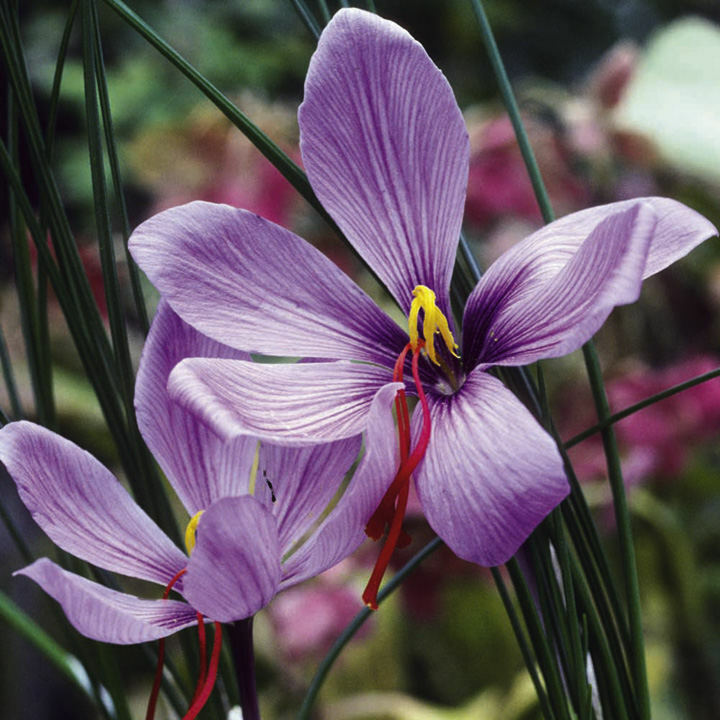 The Saffron Crocus is hardy and flowers in the autumn before it becomes dormant in April once the foliage dies back. Flowering will commence approximately 40 days from planting although some bulbs will not flower in the first year. Each bulb may produce up to 6 or more flowers over a period of 15 days. The bulbs should be planted 10-15cm (4-6") deep and 10-15cm (4-6") apart in a sheltered, warm, sunny position. Saffron Crocus prefers a well-drained soil in a position that dries out when the plants are dormant. 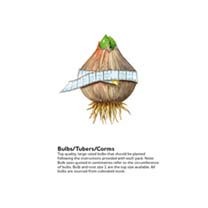 (Dry soil in dormancy prevents the bulbs rotting and aids formation of the flowers for the following autumn). An ideal position would be at the base of a south facing wall or in containers that could be moved into a greenhosue between April and September. Each bulb will only last one season and will be replaced by 1-10 new ones. The new bulbs produced grow above the old ones and will gradually creep nearer the surface so it will be necessary to lift and replant them every few years. This is best done in August. NB Although the bulbs we supply are of the highest quality, it is possible that some will not flower in the first year. Occasionally some bulbs may need a full season to enable them to reach the size and maturity needed to produce a flower. Should your bulbs fail to flower apply a balanced liquid feed before the foliage dies back and keeping the plants dry during the summer dormant period will aid flowering. Ideal for beds and borders, patio pots and containers. Scented. 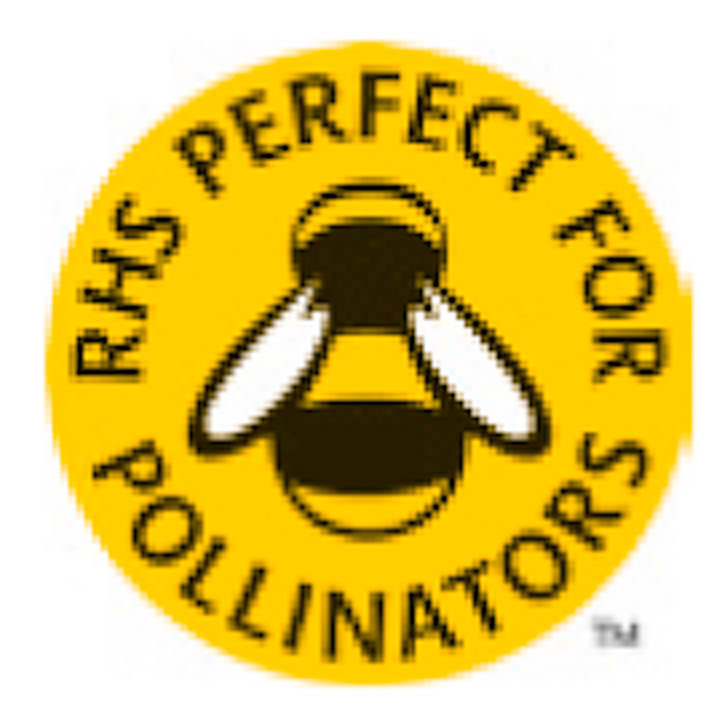 Attractive to pollinators. Prefers full sun.